Old Town is the most popular place to stay in Key West. The historic district is home to Mallory Square, Duval Street, and more. Old Town Key West was famously home to Ernest Hemingway, and his former residence is among the most popular attractions in the area. Old Town is artistic and all-welcoming in nature, and it boasts an eclectic nightlife, world-class dining scene, and beautiful beaches. One visit to Old Town Key West and you’ll understand the deep-rooted culture and history of Florida’s southernmost point. 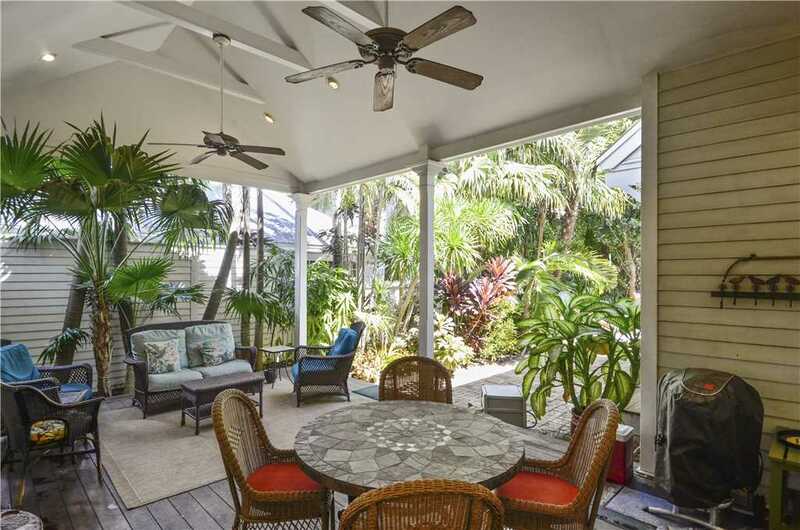 You can stay in an oceanfront home or have your own private pool in Key West. At Home Key West has a wide selection of rentals throughout the island. Here are a few of our favorite Old Town vacation rentals. The Hemingway is a charming 2 bedroom, 2 bathroom home that sleeps 4 people. Located in the gated Truman Annex community, The Hemingway is just a short bike ride to the beach, restaurants, shopping, dining, and more. You’re two blocks from the most popular attractions in historic Old Town and famous Duval Street. Enjoy the community pool, lush landscape, and comfortable interior. This home has a seven-night minimum. Located right in the center of Old Town, the Duval Penthouse is a 3 bedroom 2.5 bathroom vacation rental that sleeps 7 people. The Duval Penthouse is modern and chic with an inviting interior and multiple outdoor seating areas, including a rooftop deck. You can look out onto Duval Street and visit the Peter Link Gallery, located on the ground level. Located in the Shipyard Condominiums in Truman Annex, Conch Adventure is a 2 bedroom, 1 bathroom home that sleeps 4 people. 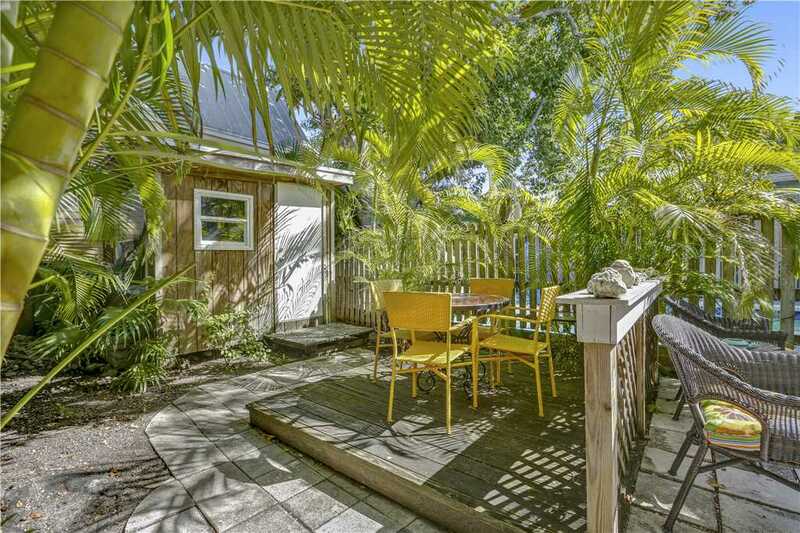 Enjoy your own tranquil and private patio surrounded by lush, tropical trees. It feels like you’re a world away, but Duval Street, the beach, and Mallory Square are just a couple blocks from you. 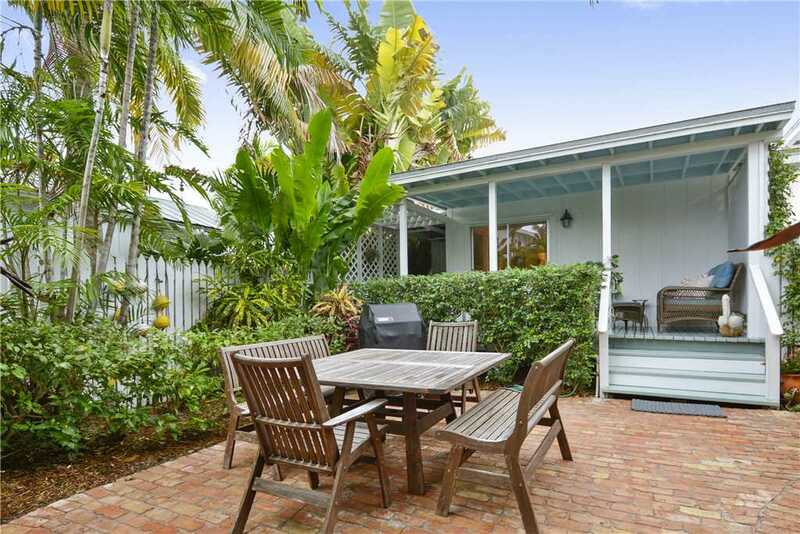 Located just off Duval Street, Emma’s Escape is a 2 bedroom 1 bathroom home that sleeps 4 people. Emma’s Escape feels like a hideaway, but it’s within walking or biking distance of all the attractions, restaurants, and nightlife in Old Town. Relax in the tropical backyard and take a dip in the shared pool and hot tub. This home is a monthly rental. Tranquility is a 1 bedroom 1.5 bathroom home that has enough space for 4 people. Located in the small gated community of The Colony Suites, Tranquility features a private backyard and shared pool area. 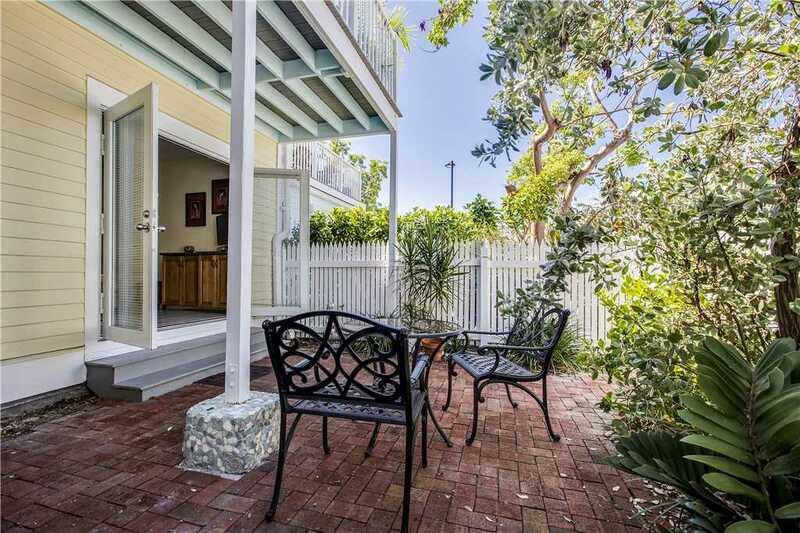 This quaint Key West cottage is just two blocks from Duval Street and all the amenities and attractions in Old Town Key West. Sunny View is a 1 bedroom 2 bathroom private home that sleeps 2 people. 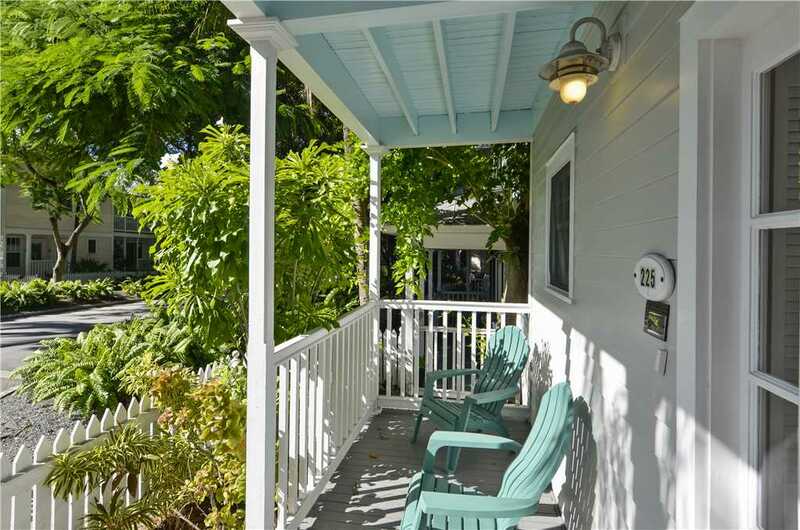 This cute cottage is quintessential Key West and features a covered patio and back porch to relax and unwind after a day out exploring. You’re within a short walk to Mallory Square, the Art District on White Street, and more. This 3 bedroom 4 bathroom home boasts enough space to sleep 8 people. Located in a secluded cul-de-sac in gated community Truman Annex, Easy Livin’ features a private pool and large outdoor space. Gather with friends and family at Easy Livin,’ which boasts plenty of space to relax and unwind. Easy Livin’ is within walking distance of the center of Old Town and local beaches. La Casita is a 2 bedroom 1 bathroom home with enough space to sleep 4 people. Located in the heart of Old Town, La Casita is within walking distance of everything. La Casita is just around the corner from the Ernest Hemingway Home and Museum, the Southernmost Point of the Continental U.S., and Fort Zachary Taylor State Park. 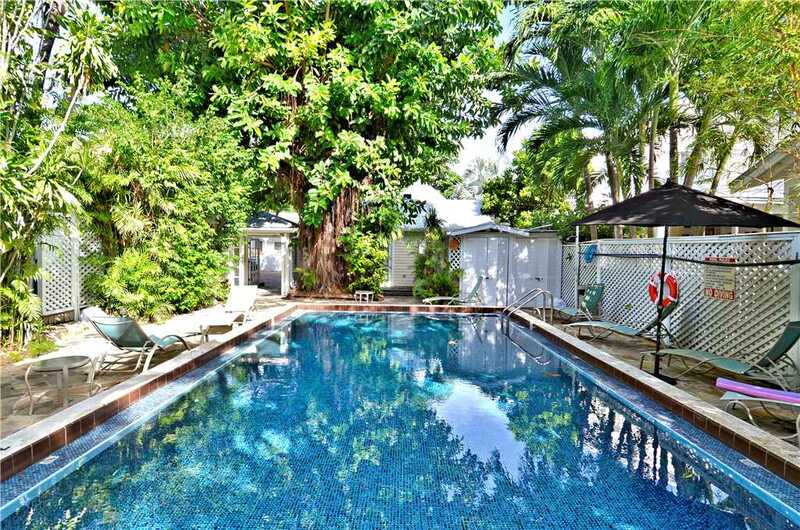 Enjoy the home’s private sitting and grill area outside surrounded by lush palm trees. Be in the heart of Old Town at Wyland Penthouse. 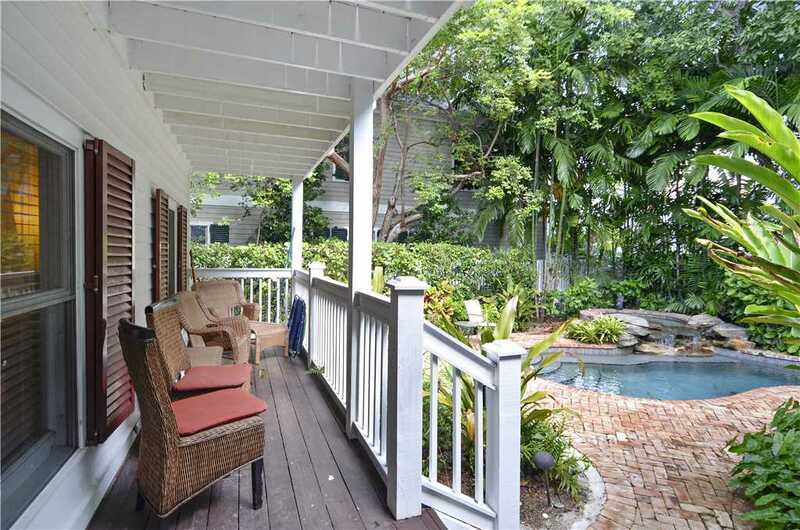 This 2 bedroom 1.5 bathroom home sleeps 4 people and has easy access to all the best shopping, dining, art, and culture in Old Town Key West. 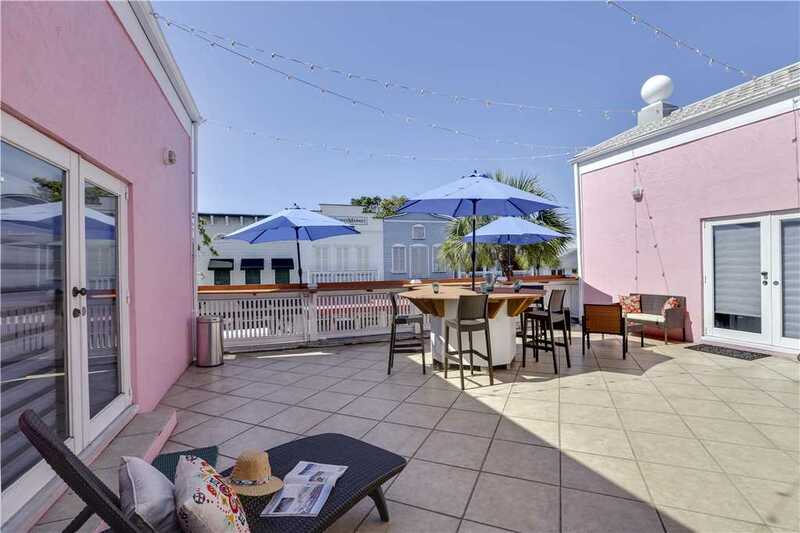 Located above the renowned Wyland Gallery, this penthouse is located along Duval Street and features an outdoor balcony to feel like you’re in the middle of the action. This 2 bedroom 1.5 bathroom home has enough space for 4 people. Located in the gated Truman Annex, President’s Walk is steps from the community pool and just two blocks from Duval Street. This home is a cozy hub with anything you need within walking distance. 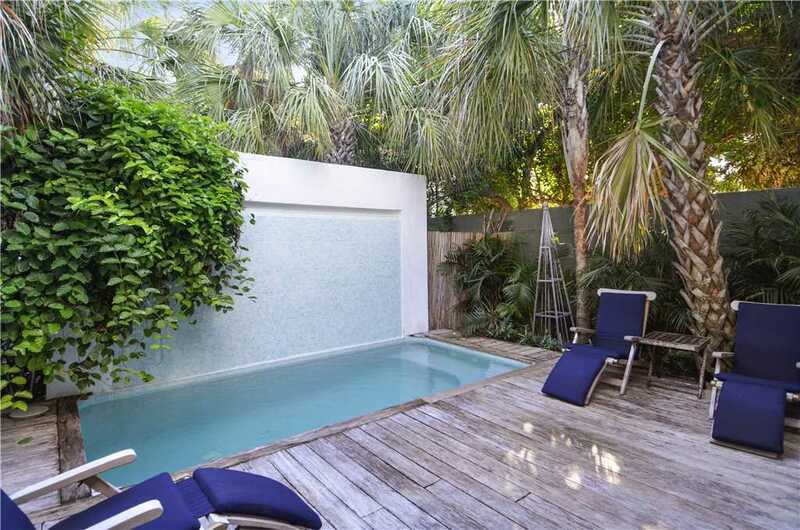 Unwind in the private patio surrounded by tropical flora. Experience true Key West history and culture in Old Town. The district is home to the majority of the best attractions and things to do in Key West. Start planning your Key West vacation today with At Home Key West. 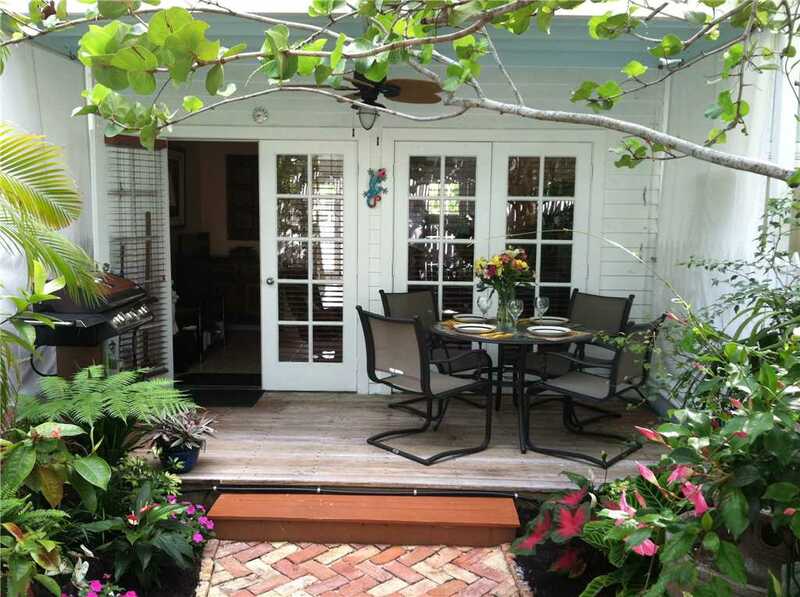 Browse all of our Key West vacation rentals to see all of our inventory on this island.